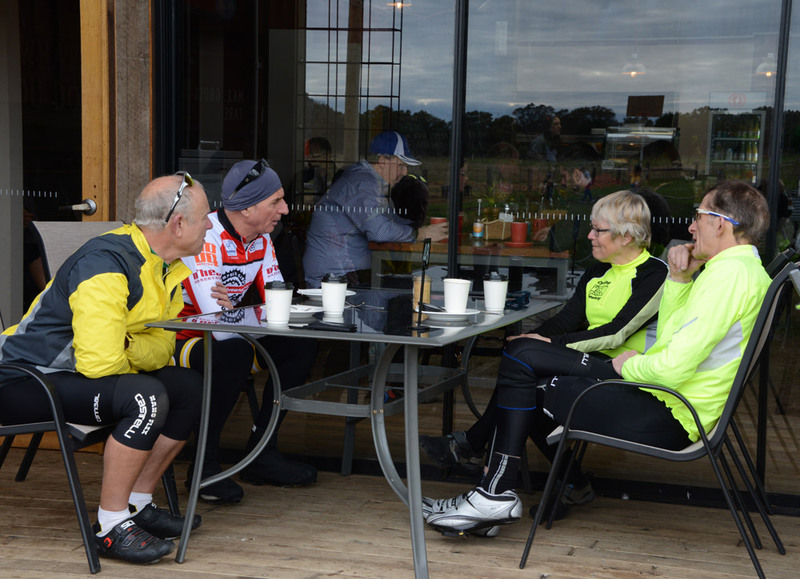 At 9am there were 9 riders – David J, Mike C, Helen and Ian F (member of both clubs) and six from GTC including John Hagan, ride leader and photographer. By 9:05 when the group set off, there were eleven. The route followed the river and Barrabool Road to Scenic Road and Wandana Drive, then the Ted Wilson trail for a short distance (but steep) to Pigdons Road. Swinging past Deakin University (lost of orange clad volunteers welcoming visitors for Open Day) the group rode under the Ring Road, and joined the bike path (still Ted Wilson Trail?) to the roundabout at Anglesea Road. Then it was an easy downhill ride to The Farmers’ Place at Freshwater Creek. It was busy, so outside was the only option. Segregation by club was not intended! Mark had lost his light on the downhill. What the rest didn’t realise was that he’d also had a puncture. He finally arrived for well-earned coffee and Baklava. The return was via Ghazeepore and White’s Road, Surfcoast Highway, Boundary and Horseshoe Bend Roads, and the Breakwater. 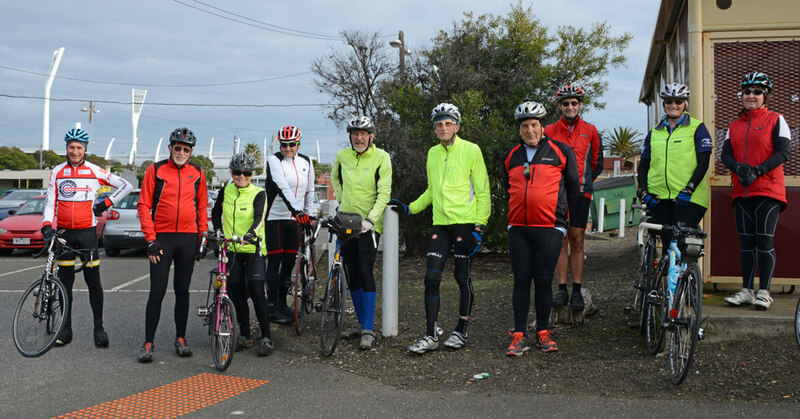 This was an easy ride – well suited to most of Cycling Geelong’s Saturday riders. See you on a Sunday ride soon. 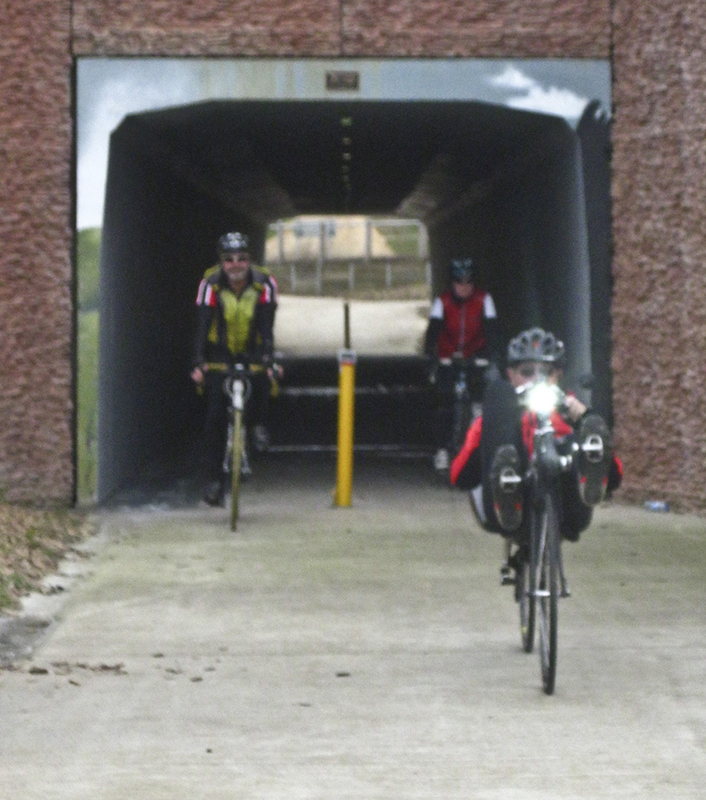 This entry was posted in Ride reports and tagged Ted Wilson Trail, The Farmers' Place Freshwater Creek by hlyth2013. Bookmark the permalink.